Here is a screen from a corporate marketing project. 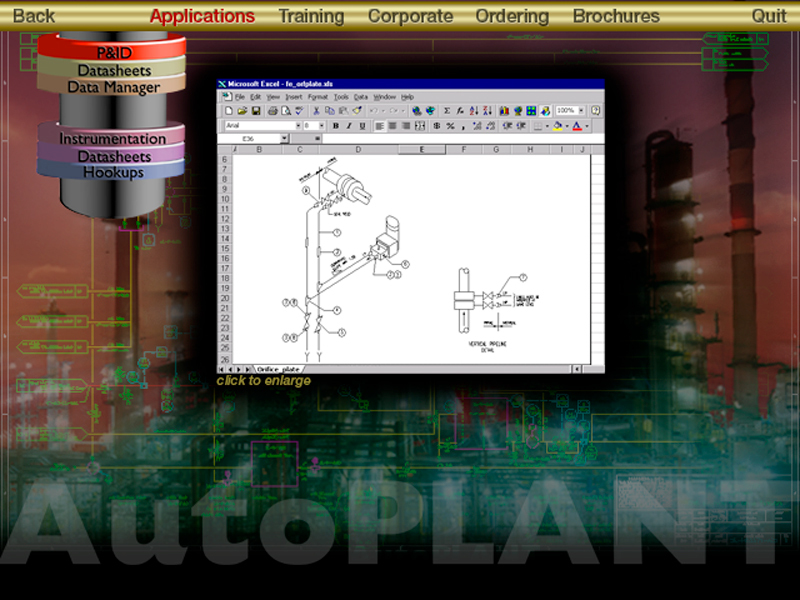 This company creates technical software for designing and running large industrial plants and refineries. It is all about schematics, pipes, and workflows. The user interface revolves around pipes. At the time this was designed, color palettes and video frame rates were considerably more limited than they are now. Let’s just say there was a reason this was a cd and not a website…..